Neocutis is the premium skincare line that we carry and truly stand by here at Cascade Facial Surgery. When looking to bring a new line to our practice, our goal was to fill our shelves with products that we could easily talk about and recommend to our patients and Neocutis makes that easy! This product line brings cutting edge technology, extensive research and quality ingredients to the skincare industry. These products are all PH balanced and formulated to deliver targeted peptides and proteins to help give your skin a healthy, rejuvenated feeling and appearance. Neocutis is committed to being a premium, physician dispensed skin care line that is trusted and admired by patients of all skin types. All Neocutis products are hypoallergenic and non-comedogenic making them suitable for all types of skin. Our staff members here at CFSA are firm users and believers of Neocutis products so weather your concerns are texture, tone, discoloration, dryness or signs of aging; ask us and we will be happy to recommend great products that will help address your specific concerns! MICRO DAY – Rejuvenating and moisturizing day cream to help improve the appearance of skin firmness while defending from free radicals with an intensive anti-oxidant blend and SPF 30. MICRO NIGHT – Moisturizing night cream that works intensively while you sleep to help rejuvenate skin for a more revitalized and luminous look. MICRO SERUM – Intensive antiaging formula that helps to replenish dehydrated skin while redefining the look of fine lines and facial contours for a more youthful appearance. MICRO FIRM – Firming neck and décolleté cream with a micro protein complex and glycolic acid to help improve the appearance of skin tone and texture. LUMIÈRE – Staff favorite! Biorestorative eye cream formulated with processed skin proteins and caffeine to reduce the appearance of puffiness and under eye darkness. JOURNÉE – 3 in 1 restorative day cream with SPF and antioxidants to help protect skin from environmental stress. Also formulated with processed skin proteins to help improve the appearance of fine lines and wrinkles while replenishing dehydrated skin. BIO CREAM – Replenishing moisturizer that helps reduce the signs of aging while renewing skin suppleness. 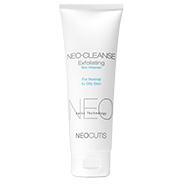 EXFOLIATING CLEANSER – Exfoliating cleanser with 9.9% glycolic acid to help gently re-texturize and purify skin for a healthy glow. Also formulated with glycerin to combat dryness. GENTLE CLEANSER – Creamy cleanser formulation that gently melts away makeup and surface impurities while helping to soothe the skin. Perfect for sensitive skin! BIO BODY – Body moisturizer that helps to restore skins natural barrier with ceramides and salicylic acid. PÊCHE – Redness control serum formulated with premium soothing ingredients and rosaplex that helps to minimize redness and blotchiness. PERLE – Skin brightening cream with Melaplex that improves the look of skin clarity while helping to reduce the appearance of age spots or uneven skin tone. NOUVELLE – Retinol correction cream with 0.6% retinol AND Melaplex to visibly reduce the appearance of fines lines/wrinkles and sun damage or age spots while promoting the look of firmness. RéACTIVE – Daily antioxidant serum with vitamin C and vitamin E to help protect skin from oxidative stress and environmental factors. This product also doubles as an amazing foundation primer! PREVedem – Bruise minimizing serum formulated with witch hazel to help minimize the look of post procedure puffiness, bruising and redness. PRISM + – Water resistant broad spectrum sunscreen formulated with zinc oxide to help prevent the harmful effects of sun damage. 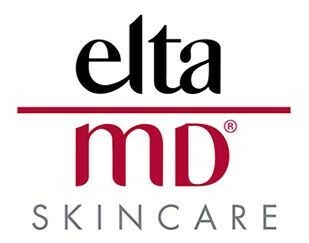 Elta MD is our “tried and true” skincare line specializing in skin protection healing here at Cascade Face! Elta MD has been a key skincare line trusted by physicians in the medical cosmetology and dermatology world for over 25 years! These products are formulated to help optimize skin health, protect the body’s largest organ (SKIN!) from the most harmful extrinsic form of aging (SUN!) AND promote healthy healing following a treatment or procedure. All Elta MD products are sensitivity-free, free of fragrance, paraben free and non-comedogenic free making it the easiest recommended form of suncare by physicians worldwide. Ask any one of our staff here at CFSA and we will gladly point you in the right direction towards a sunscreen that we recommend based on your skin type! Trust us; this is a step in your daily skincare routine that you DO NOT want to skip! Clear – Tinted or non-tinted formulation with hyaluronic acid, niacinamide, and lactic acid; perfect for those with acne prone skin, sensitive skin or rosacea! Elements – A personal staff favorite! Tinted, hydrating formula for those who like a little coverage with their sunscreen/moisturizer. Wear underneath your daily foundation or replace it all together for a sheer coverage. Daily – This formulation also comes tinted or non-tinted! Great sunscreen for those with a normal or combination skin type! Sport – Water resistant for up to 80 minutes! Perfect for those participating in outdoor sports, hiking or other athletic activities. Lotion – Another staff favorite! Perfect for all skin types and ages. Larger bottle for optimum use from head to toe. Apply to the body or face for sun protection and hydration for the whole family! Facial Foaming Cleanser – This is a gentle enzyme cleanser with pineapple extract, perfect for a fresh cleanse that gently loosens dirt’s, oils and makeup! Renewal Eye Gel – Renewal eye gel minimizes fine lines and wrinkles, puffiness and darkness in the under eye area. Visible improvement after 30 days. Moisture Riche Body Cream – Moisturizer infused with ceramides and enzymes to help relieve dry, flaky and sensitive skin. Use as your daily body moisturizer for optimal hydration or in specific areas for conditions such as eczema and psoriasis. Barrier Renewal Complex – A lightweight, daily moisturizer proven to hydrate the stratum corneum and improve dry, compromised skin after just 24 hours. Formulated with ceramides and essential lipids to help restore the skins natural barrier.